Two years ago, in the final weeks before my wedding, I bought and preserved 50 pounds of tomatoes. Last summer, I upped the ante and brought home 100 pounds. This year, though I was sorely tempted to push ever upwards, I kept myself to another 100 pounds. Slow roasted and frozen. These tomatoes are amazing and do wonders to lift my spirits during those cold, dark months, when it doesn’t seem at all possible that fresh tomatoes will ever return. I did 20 pounds like this a few weeks back. Instead of packing them in jars for freezing (like those pictured above), I froze them on the same cookie sheets on which they were roasted and then packed them into freezer bags. Makes it easier to grab one or two and drop them into dinner. Whole peeled tomatoes are the backbone of my autumn and winter cooking. 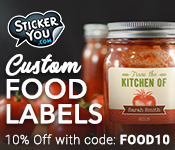 I use them in soups, stews, sauces, casseroles and even whir them into batches of smooth salsa. They come together fairly easily and are so incredibly useful to have in the pantry. 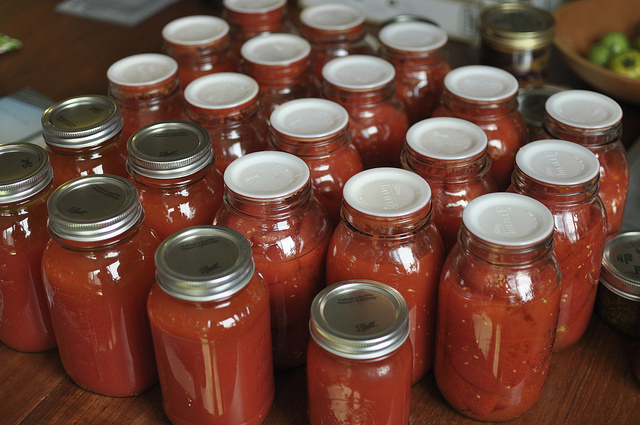 If you do nothing else, put up a few jars of whole peeled tomatoes. 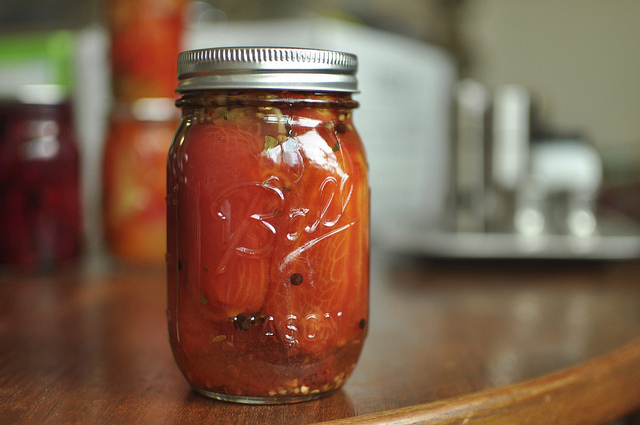 While you’re peeling those tomatoes for canning, set a few aside and make these pickled red tomatoes. I layer them into toasted cheese sandwiches and serve them with strong cheeses. They are unexpectedly delicious and just fun to have in your pantry for those moments when lunch or dinner needs a little extra zing. I don’t make tomato sauce every year but when I can squeeze it into the schedule, I’m never sad to have made it. Earlier this month, I stirred up five pints with the last of my 100 pound. 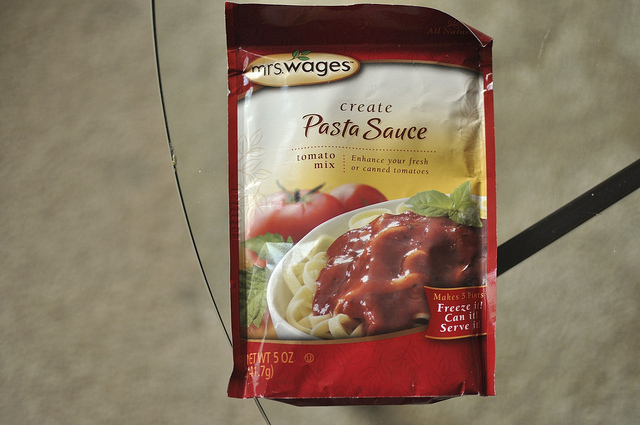 And I cheated a bit by using this packet of Mrs. Wages Pasta Sauce mix . Do I feel bad about that? Not at all! If you don’t have a spice pack laying around, I’ve also made the tomato sauce from Animal, Vegetable, Miracle and I most happily recommend it. Tomato butter. I’ve become awfully fond of this butter that I made last summer for the Can Jam. I like to combine it with whatever leftover runny jam I have in the fridge and braise fatty hunks of meat in it. I just can’t get over how good it is. There you have it. Five of my favorite ways to preserve large tomatoes. What’s your favorite method? The roasted tomatoes look great. I do like their flavor in the winter dishes too!! and mill them into a thick dark sauce. The tomato press has only one size screen, but it’s perfect for tomato sauce and apple sauce, and it’s so much more efficient because the sauce drips into the bowl and the skins/seeds/debris feeds out the little spout on the side. I run the stuff through 3-4 times with tomatoes, 2-3 times with apples. 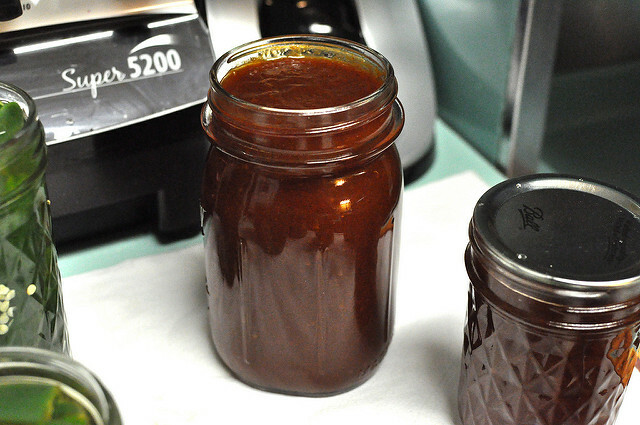 The sauce is quite thick, so I make sure to process it for 45 minutes, but I find it’s a great way to get thick and flavorful sauce–I only have to stir when I’m getting up to boiling prior to loading it into jars! I also make a roasted salsa that starts with chunks of tomatoes, onions, peppers and garlic in the oven. I use plenty of lime juice to acidify that prior to canning. That sounds amazing! Could you post a recipe maybe? Tomato soup & pasta sauce! I have about another 100 pounds on my counters and dining room table now. We will be bringing the rest soon, though tomorrow is supposed to warm back up to 74. And then the green tomatoes have to come in too. I just got a recipe for green tomato mincemeat at my County Extension meeting tonight. I hear it is very good. My favorite way to keep tomatoes is to can in quart jars. Quarter and cook, then put through food mill to get rid of skins. I like it about the consistency of a thick tomato juice, not as thick as sauce. This becomes the basis of most everything…vegetable soup, lentil soup, Mexican Rice, cabbage rolls, pasta sauce, chili, etc. I do as many as possible and then when don’t have enough for full canner will freeze in quart containers. When my daughter moved to her own apartment she took a case of them with her, amongst others. The rest of the family members like the salsa the best. I have never tried the Mrs. Wages. I do a variety of recipes from the Ball Book and Ball packets. Have never made tomato butter but always make one batch of tomato-lemon preserves for me. All the roasting-drying-pickling recipes sound interesting but I would have to try some first. I am not much of an experimenter…stick with the basics. Make the green tomato mincemeat; it is amazing. I have been making this for years. If you have a food processor it will save lots of time and effort. Enjoy!! I tried ketchup this canning season and learned my lesson! I might try again though I think I did utter the words “never again”…I got two 125mL jars out of 10lbs. Yeesh! I did the tomato jam from your blog, and haven’t tried it yet but I think it will be yummers. My mom came over and we canned some peeled, whole tomatoes. And I always do some pasta sauce, with red and orange peppers, roasted garlic, onions and fresh herbs. I started out with 50lbs, and ended up having to throw away a few because they got moldy. Your tomato butter looks great. I love your description of braising fatty hunks of meat in it — I can taste it from here 🙂 I do a lot of the same things you do with tomatoes, but this year I also made several batches of tomato juice and froze it in pint jars. Delicious. We also do lots of dehydrating. Ditto what the other Lynn said about your tomato butter! My small garden doesn’t produce the bounty of some so I tend to slow roast and freeze for winter concentrated enjoyment. Need to start purchasing extra and partake in more of your methods! I’ve been experimenting with mixed vegetable marmalades (jams), my favorite so far is tomato, onion and fennel. I was recently in Spain on vacation and both tomato and onion are everywhere and used quite frequently on tapas and pintos with cheeses, nuts and ham. This year, for the first time, I make bacon-tomato jam. Everybody loves it. We put it on crackers, hamburgers and it is better on Chinese spareribs than sweet-sour sauce. I also make green tomato mincemeat and green tomato pie. This year I made a couple of quarts of sun-dried tomatoes in the oven and froze them. They almost taste like candy and are wonderful when added to chicken alfredo. Bacon-tomato jam, you say? Is there a recipe floating around out there for this? I’d love to see it! Place tomatoes, onion, sugar, vinegar, and spices in saucepan. Bring to a boil; add bacon pieces. Cook at a simmer, stirring frequently, until mixture is very thick, about 1 hour. Pour into clean freezer containers and cool. There are only two of us here at home, so I freeze mine in muffin tins that have been sprayed with Pam. I then wrap the “muffins” in waxed paper and store in the freezer in plastic zipper bags. This size is much more manageable for 2 people. Hope you enjoy; this jam is delicious on burgers, crackers, Chinese pork ribs. Thanks so much Patricia! Sounds delicious! I will definitely have to try it. I cut up my tomatoes, skins and all, with whatever summer squash I have extra of and put it in jars. We call it tomasqua. It’s beautiful! It makes a great sauce and soup base and a quick stint in the blender at cooking time takes care of the skins. I do several types of tomato sauce, and this year I tried the Mrs. Wage’s Pasta sauce too! It is pretty tasty and extremely easy, and like you, I don’t feel bad one bit about “cheating”. There is nothing wrong with making your life a little bit easier. Oh no, I was two days too early in putting up my 60 pounds!! I just went plain, whole peeled for all of them. That’s my favorite way to preserve tomatoes! I quarter them and cook them down, push through my cone-shaped colander, and put them in the refrigerator for 24 hours. Pour off the watery stuff that rises to the top and then freeze the juice/sauce in quart freezer bags. Use it for anything that has a tomato base all winter. I roasted a bunch of grape tomatoes after seeing them here and love adding those to sauces, soups when cooking. yum! The watery stuff that rises to the top makes an excellent tomato jelly. You do always have to acidify pasta sauce. However, I wouldn’t recommend canning sauce with fatback in it. Canning sauces with fat in them can lead to poor seals. My family loves loves loves salsa. I put up 64 pints of salsa, made from tomatoes that were locally grown. I also put up roasted garlic pasta sauce (30+ pints) that we use on pasta, as pizza sauce, on calzones-everything. I don’t really cook with whole tomatoes b/c I’m the lone tomato eater, but salsa–they gobble that down! Wow, that’s an impressive amount of salsa! If you don’t want to waste tomatoes on salsa, try making salsa verde with tomatillos. I grew 3 plants this year and have already put up 18–1/2 pint-size jars of salsa in varying degrees of hotness, and I still have tomatillos growing in the garden. This is the easiest plant to grow and the produce is extremely abundant. You don’t even have to worry about insect or animal pests because they don’t seem to like it. However, the honeybees love it which is a big plus. How about sharing the roasted garlic pasta sauce recipe; it sounds great. where did you get your tomatoes from this year? i’m always looking for new sources to add to my list in Philly. I got my tomatoes at the Shady Maple Farm Market out in Lancaster County. They were $10 a 25 pound box, so it was well worth the drive. 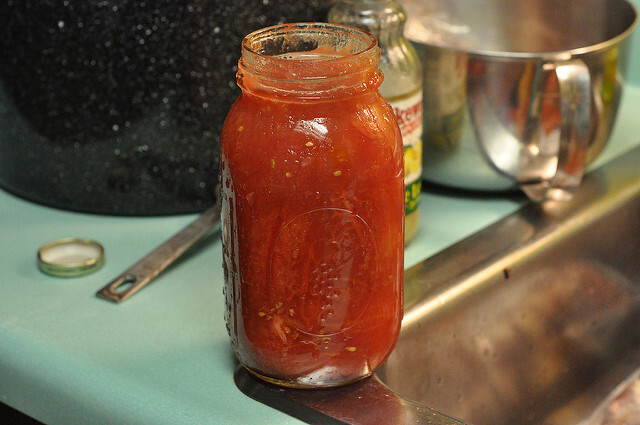 But I also love to make seasoned tomato sauce and salsa – two things we go through quickly. My 5 favourites are salsa (made with a “cheater” spice mix – Bernardin’s salsa mix), chili sauce (made it last year and it was so delicious! It was like a chutney or relish), seasoned tomato sauce (ready to add to a variety of pasta dishes), roasted tomatoes, and whole canned tomatoes. Tomato jam is a HUGE hit in our house. And we put up about 80 quarts of crushed tomatoes and sauce for this winter. I really wish I had tried the pickled tomatoes, maybe I can snag some of the last tomatoes at the farmer’s market this weekend and give it a try! 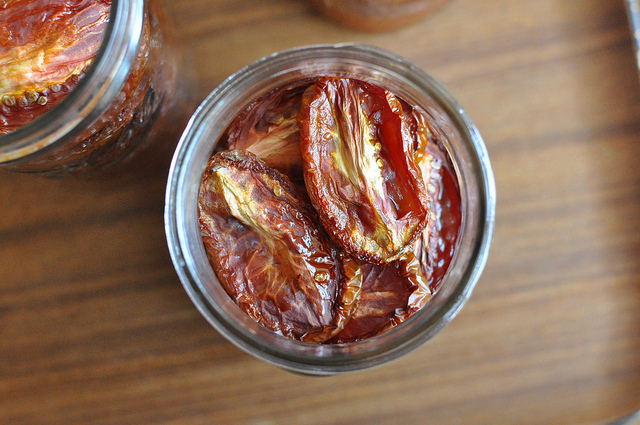 I made a small batch of slow roasted tomatoes that are now tucked away in my freezer. Any recommendation on how to best use them in cooking? Melt them into olive oil for an easy pasta sauce. Defrost them and puree them with a bit of goat cheese for yummy dip. Chop them and scramble them into eggs. I chop them and put them in my chicken alfredo sauce, on white pizza, and in pita sandwiches. 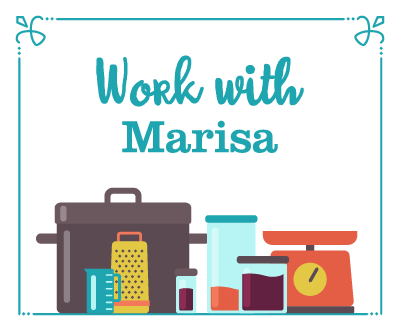 I’ll have to try Marisa’s dip, it sounds amazing. 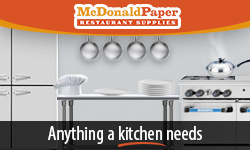 All of your recipes are wonderful and the tips so helpful, thank you for sharing! @Melanie (#6) – I go to our farmer’s market and for the people that sell lots of tomatoes, I ask to see their overripe or seconds. Most of the time their either somewhat bruised, have ugly spots (that I cut out) or need to be used in a day or so. Last time I went, I ended up with over 20 lbs for $6 and if I bought more, I know I could get a better deal. These look fantastic. I live in South Florida so I am still waiting on my tomatoes to come in as our growing season is just beginning. Can’t wait to harvest and preserve! Is it OK to leave the tomato skins on? My family doesn’t mind the skins and it would be one less step. I find that peels can sometimes make the tomatoes bitter, but I know some people do it with no ill effects. it used to be crushed tomatoes, but this year [thanks to you] i tried whole peeled and i think that’s going to be my go-to method from now on. though i’d love to try the roasted/frozen method next year. So glad to hear that you like the whole peeled method! It’s like you psychically know I bought another 20 pounds of tomatoes on Sunday. What the heck, Marisa, get out of my brain! We did diced tomatoes, pasta sauce, sundried tomatoes, juice for chili and bloody Marys, and jelly made from tomatoes and lemon jello. Tomato jelly is awesome on toast with a hangover. Hi! 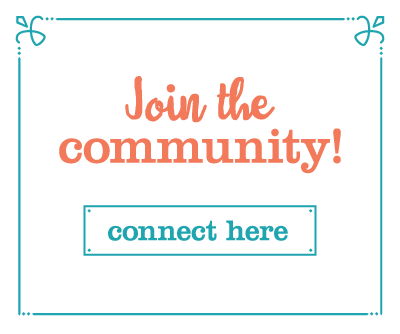 I love your blog- it has been incredibly useful & informative. Thank you! As far as roasting the tomatoes go, I tried it with cherry tomatoes. They were stuck to the pan but still watery. Any advice, or is that right? Sounds like you might need a bit more olive oil. They shouldn’t be sticking! I love your website! Great job! Keep up the inspiration! That tomato butter sounds heavenly!!! Have you ever tried your hand at chow chow? Although I’ve made and frozen homemade tomato marinara for decades, I decided this year to pressure can my roast tomato marinara. Just did my first 20 pounds and am headed back to the farmers market for more! It came out great, and it’s so easy. Recipe was the last post on my blog. 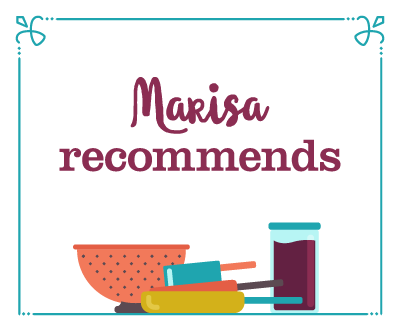 I’ve really enjoyed reading your tomato posts Marisa! I love tomatoes and I love this blog. 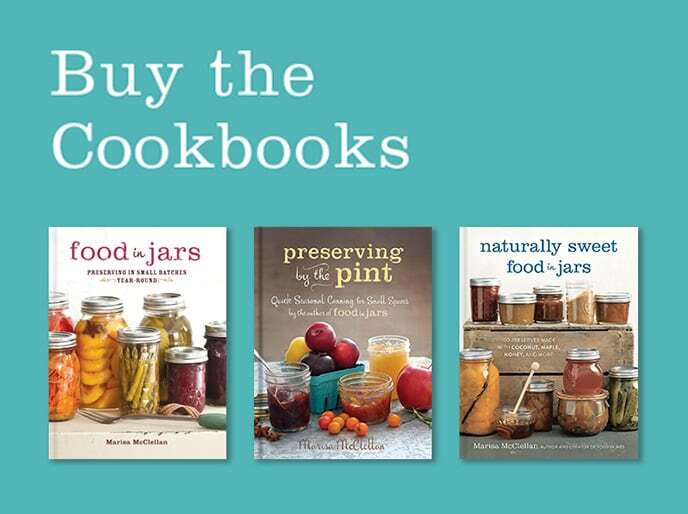 I am so inspired to do some canning this weekend. Thanks! I think the 100 lbs was a good limit. I was planning on doing about that much, then I thought I’d do another box or two for safe measure. Then my mom found me an additional supplier charging so little for a box I thought I should do a few more boxes. (Then I made an unwise investment in some rapidly decaying peaches.) So the long and short of it is that my life became a wearying canning haze for a few weeks there and I think no future enjoyment of tomatoes can make up for the strain it was on the family. 🙂 I did blend about half of my tomatoes (skins and all), and cooked them on the stove afterwards until it thickened into tomato sauce. Then I use it in recipes calling for “sauce,” use it combined with the diced when making spaghetti sauce, or I combine it with milk and heat it as a simple homemade tomato soup. Next year I’ll try to reign it in a little. 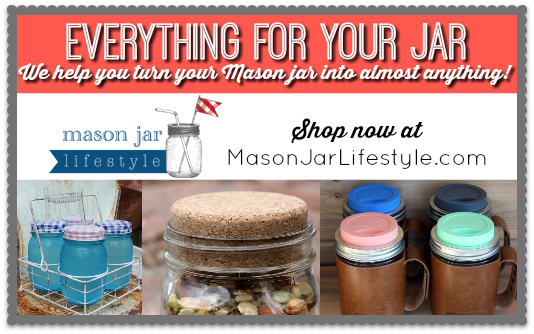 I don’t want to run out of steam without canning a greater variety of produce. I may still try some marmalade this year . . . This is great! Lovely photos too! I do stewed tomatoes, 39 qts, salsa 40 qts. soup 12 qts.,sauce 7 qts so far, and I have a ton of tomatoes still in the garden, I am getting sick of canning. Plus I canned 50 pts. of beans and 14 pts. of dilly beans. Also roasted some grape tomatoes, those are so yummy. I would like to know where you found the recipe for canning salsa in quarts? Every recipe that I see now says that using quarts is not safe. I have a lot of quart jars and would like to use them for salsa, as a pint doesnt last a minute around our house. So where can I find the recipe for quarts? Thank you in advance!! Marian, I don’t can my salsa in quarts and there’s nothing in this post that says that I do it. I checked the National Center for Home Food Preservation and they only recommend canning salsa in pints. My favorite way to preserve tomatoes: Dehydrate them! I grow grape tomatoes every year – love them in salads. But after a while I was full of them and hated to let them go to waste. I couldn’t can them (could you imagine the time it would take to skin them?) So I decided to Dehydrate them. You don’t have to peel the skin or anything. The only thing you have to do is wash them and puncture a whole in them. I like to just cut them in half so they don’t roll around on the tray. After they are dehydrated you run them throught a blender or a coffee grinder. (I have never used my coffee grinder for coffee beans. Always for my herbs.) You can put your tomato powder into a canning jar or empty herb jar and shake on anything. I use it in my fried potatoes, grilled chicken, hamburgers, pork steak, ect. I’ve even made cream of tomato soup with it. My husband and daughter don’t like tomatoes, but they like it on everything I cook. I use it on everything and it’s just wonderful. Can large heirloom tomatoes be canned this way – whole or cut up with lemon juice? can i add oregano, garlic, and basil to my whole tomatoes for preserving? No. Those are all low acid ingredients and can make your tomatoes unsafe.